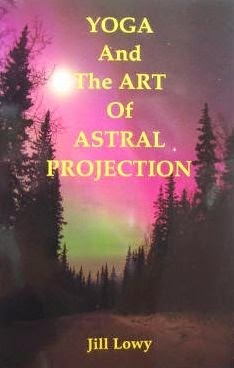 I recently finished the book Yoga and the Art of Astral Projection by Jill Lowy, and here's my book review. It seems like there are two main approaches to the otherworldly: traditionalists and explorers. Traditionalists study the paths that others have followed, whether religious, mystic, or occult traditions. Explorers, on the other hand, care more about exploring and trail-blazing. Explorers rarely care about traditions, and traditionalists rarely care about exploring. Oddly, my brother Joe and I fall into opposite camps. I've always been an explorer: I'd rather spend my time focusing on new teachings, new methods and, of course, blazing my own trail. That means I don't spend as much time studying the older traditions, valuable as they may be. I keep thinking I should read the works of Meister Eckhart or Emanuel Swedenborg, for example, because I could really learn from their mystical experiences, and yet somehow they never seem to rise to the top of my priorities. What does all this have to do with Jill Lowy's book? Simply this: This book tries to bridge the gap between the two approaches. I was expecting the book to be focused strictly on OBEs and how they pertain to Yoga meditation, but I was pleasantly surprised. The book starts out with a crash course in esoterica and occultism, with depths that surprised me. I would have probably been blown away by the depth of her knowledge, except for the fact that I've already spent many hours talking to Joe about these things (No offense, but Joe could undoubtedly run circles around her). Lowy talks about the Rosicrucians, Hermes Trismegistus, the Golden Dawn, Israel Regardie, Paracelsus and the like. She sounded remarkably like Joe, trying to give a crash course on esoterica. She doesn't stop there. She talks about Plutarch from ancient Greece, and cites St. Paul's observations from the Bible. She brings in Taoism (one of my favorite topics, which I've studied in depth), quoting from Lao Tzu. She explains about the Yoga Aphorisms of Patanjali (which I've studied). She talks about Paramahansa Yogananda (my favorite yogi, whose teachings I've studied in depth). Then she starts to talk about the different schools and traditions of Yoga, patiently explaining how the branches differ. She moves on to explain all about the chakras. From there, she gives an in-depth explanation of her favorite yoga meditation to induce out-of-body experiences. Then she gives some good narrations to illustrate what the experiences are like. (I love OBE narrations; I think they're an essential part of any good OBE book). I was hoping to find a lot of information about OBEs and how they relate to yoga, and maybe some practical advice. Unfortunately, the book spends most of its time talking about yoga, its tenants, astrology and other peripheral topics, and way too little time on OBEs themselves. The information about OBEs was good (you can tell she's had a lot of OBEs). There just wasn't enough of it. If Lowy had spent as much time talking about OBEs as she did yoga, it would have been a great book. Unfortunately, she breezed through too many topics, spending too little time on each. This book only has one OBE method, but it's explained in good detail. There again, the information was good, but I was hungry for more. The book is only 150 pages long, which is kind of small, but bigger than many OBE books out there. However, the font is decent and the margins are very small, which means every page is chock full of information and there's little white-space or wasted space. But like I said, the information was mostly about yoga, and not OBEs. Now, as is my custom, I have to put on my grammar Nazi hat. The book is fairly well written and succinct, although I found lots of simple punctuation problems, spelling problems and minor grammar problems. For example, in many places she has "mediation" where she means "meditation" (something a spell-checker wouldn't notice, but an editor would). Her worst offense is the misuse of the apostrophe. I'd say at least half of her apostrophes are wrong. Or maybe I just remember them more because I'm a grammar Nazi. Nonetheless, I did enjoy the book. It's definitely worth buying and reading, especially if you want some good information on the basics of yoga or esoterica. In short, this book is everything I wanted Samael Aun Weor's book Dream Yoga to be. Weor's was ridiculous, condescending and full of misinformation. This book, by contrast, is useful and full of good information. And I'm looking forward to trying her OBE technique. Jill Lowy would be a fascinating person to sit down with and have hours-long conversations with a cup of coffee. Better yet, sit her down with my brother Joe and watch the verbal ping-pong match! I only wish her book was two or three times as long so it didn't feel so rushed. I wish it went into more depth on each of the subjects, especially the OBEs.